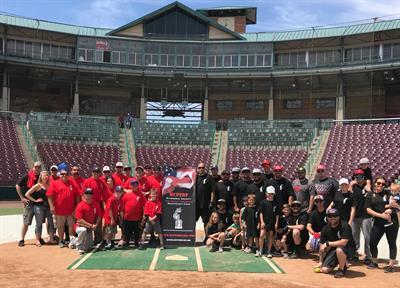 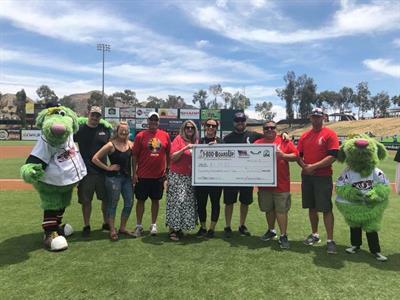 This is a charity event sponsored by Pulido Cleaning & Restoration, 1-800-BoardUp and the Lake Elsinore Storm Stadium on behalf of the CalFire Benevolent Fund which assists firefighters when they are injured or worse on the job since they are not covered by state disability. 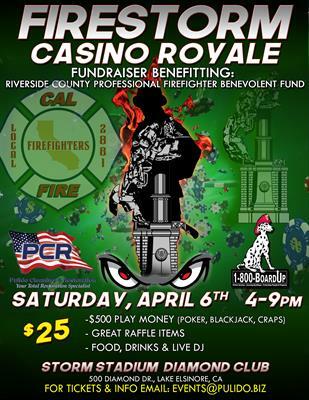 100% of the funds go to the fund and the event is open to everyone and is accepting any kind of monetary or product donations. 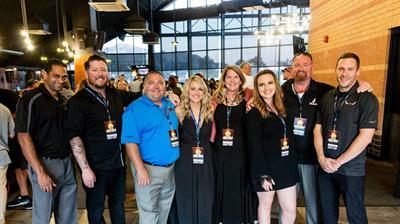 The event consists of gaming tables with chips that can be used for the auction items, full bar, live entertainment, corporate sponsor recognition, complimentary food from local vendors and presentations.